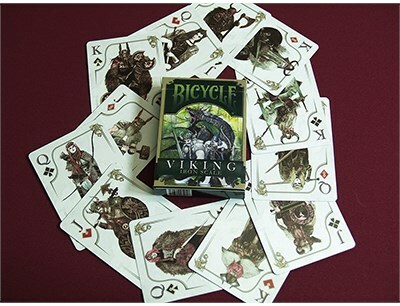 Your opponents will know that you are a true card warrior when they see the Iron Scale detailed tuck box, and you'll have them shaking in their furry boots. 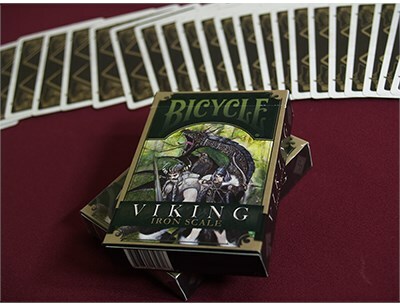 Open the box to unleash the true Norseman or Norse lady (this is an equal opportunity deck) that you really are. 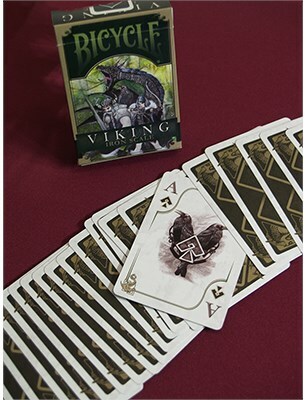 This incredible tuck box is hand illustrated, and feature embossed graphics and a die cut window that allows for a glimpse of the cards - in particular a glimpse of the perfectly positioned Viking logo on the back of this deck, which showcase both Odin's twin ravens or Iron Scale's fierce dragons.